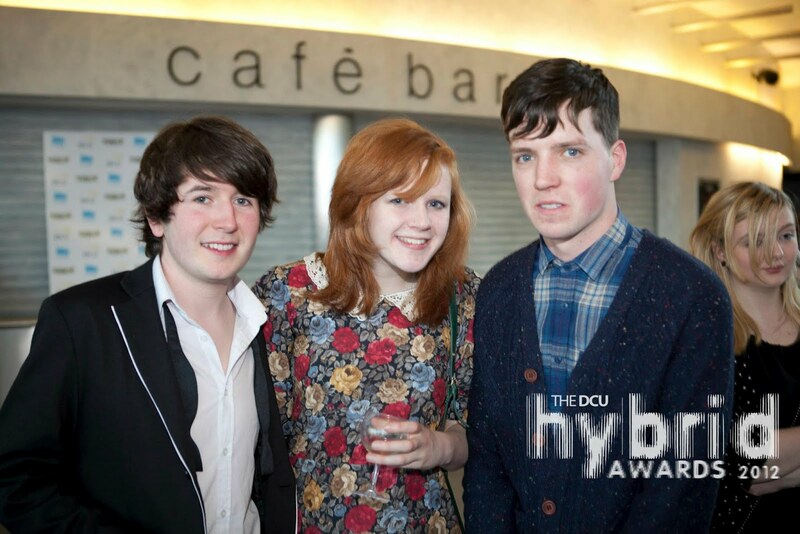 A glamorous night was had last night as I attended the Hybrid Awards at the Helix, DCU. The Hybrid Awards, organised by the Media Production Society (MPS), is an event that looks to commend students on outstanding media related work. Students can enter their pieces in print, web and radio categories. I entered in two categories, the Photographer of the Year and the Poster of the Year. It is free to enter so why wouldn’t you? Unfortunately I did not get nominated for either. The standard, was of course very high, so I wasn’t surprised. However, next year I’m determined to be nominated for at least one award! And in my final year my goal is to cart home a shiny award! As I said, the quality of work by the MPS members is usually exceptional, so I better get practicing if I can ever hope to actually win a Hybrid. On another note, the Hybrid Awards ceremony is an excellent opportunity to get networking. However, I was much too frightened to actually make the move and introduce myself to anyone from the industry. I must push myself at the next event like this to make some contacts!